Designed to cover the bottom half of your window only, cafe style shutters lend a chic continental feel to your interior. Café style shutters lend a classic look to bay windows. Keep things feeling fresh with a contemporary colour palette from House Beautiful. Café-style shutters are the must-have choice in Paris, Vienna and Barcelona. And the stunning design is becoming more and more popular across Britain. Summoning thoughts of continental chic, café-style shutters will give your home a sophisticated and cosmopolitan touch. Only the lower half of a window is covered, so even when closed the design allows natural light to fill a room without losing a sense of privacy. And by tilting the louvres in a café-style shutter, you can allow even more light to fill a room. 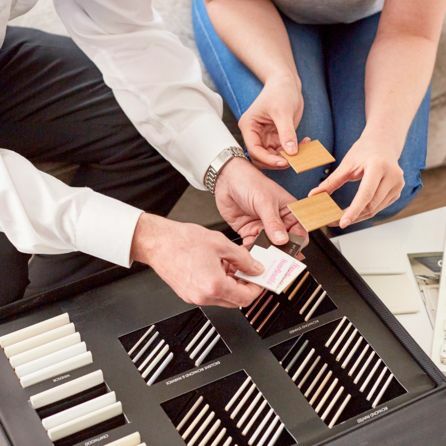 Book an in-home appointment with a shutters specialist and take advantage of an expert’s advice while choosing your perfect shutters. Your specialist will also measure up and give you a quote that includes fitting. From bistros to coffee houses to your home. It turns out you don’t need to be taking a caffeine break in Paris to enjoy café-style shutters.